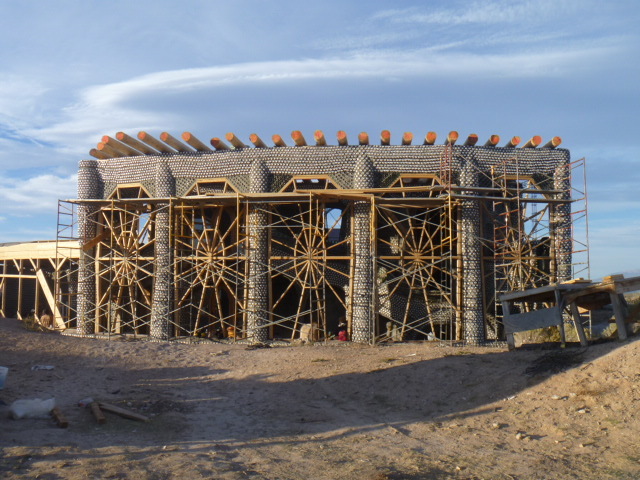 In October 2012 we did an internship with Earthship Biotecture, where we learned through hands-on work with the crew how to built an earthship! 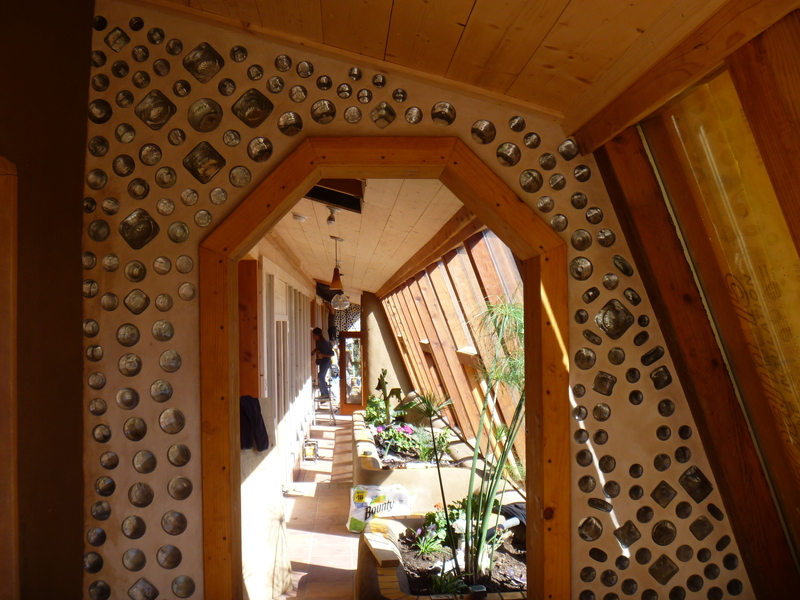 We initiated an on-line campaign to raise awareness and funds to built an earthship style home for Romeo and his family in Comalapa, Guatemala. 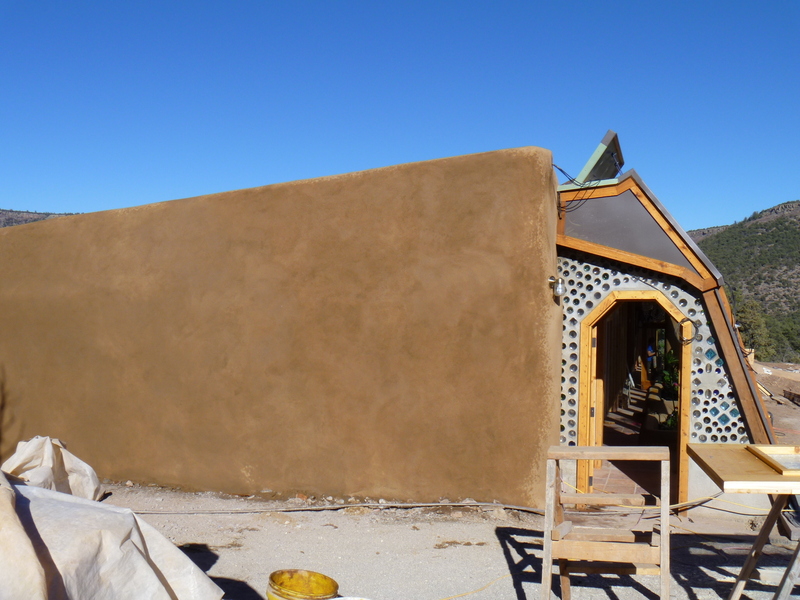 The campaign was very successful and in 5 weeks we raised 4.200 USD to built this home! Romeo is a native Mayan and has been working on the Eartship crew in Guatemala, building a school and homes for local people of the community. 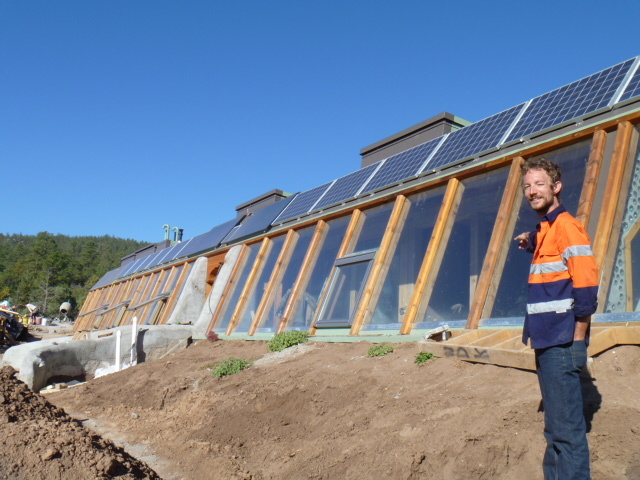 Before being part of the construction crew, he was a corn farmer, and he has been a sustainability leader in the community for the past years! 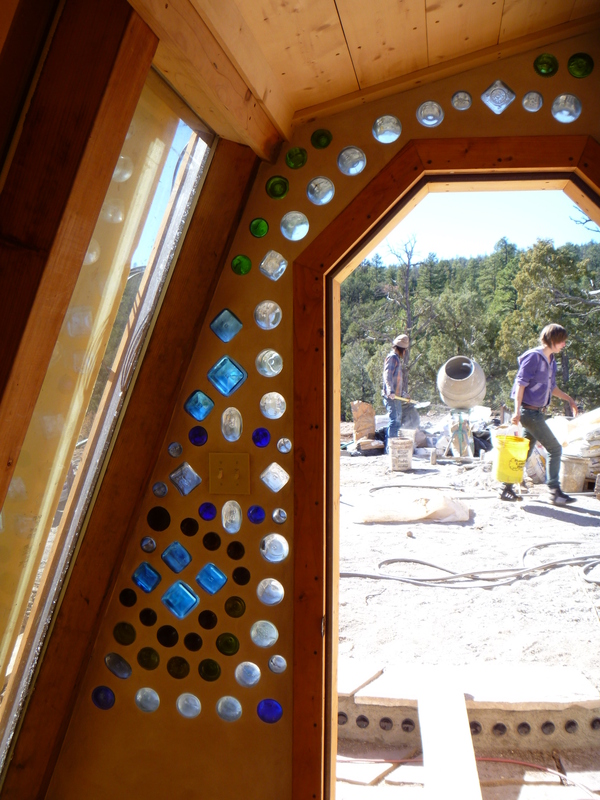 Living in an earthship sustainable home will mean he will have no bills to pay on utilities and drinking water, and he can show other people how to built a sustainable home! 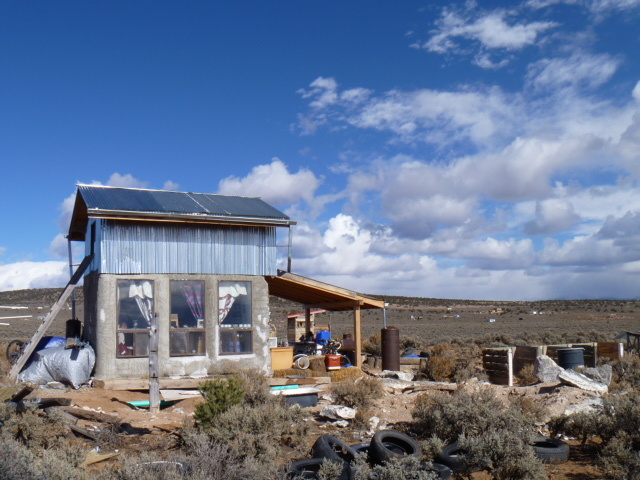 We made a webpage on www.indiegogo.com, a renowned fundraising website, similar to Kickstarter. Eventhough we were optimistic about the result of the campaign, to actually see the money coming in from all parts of the world was extremely empowering!! It made us realise that we can do without instituations and banks, and rely on the global community we are part of in financing a charity project! 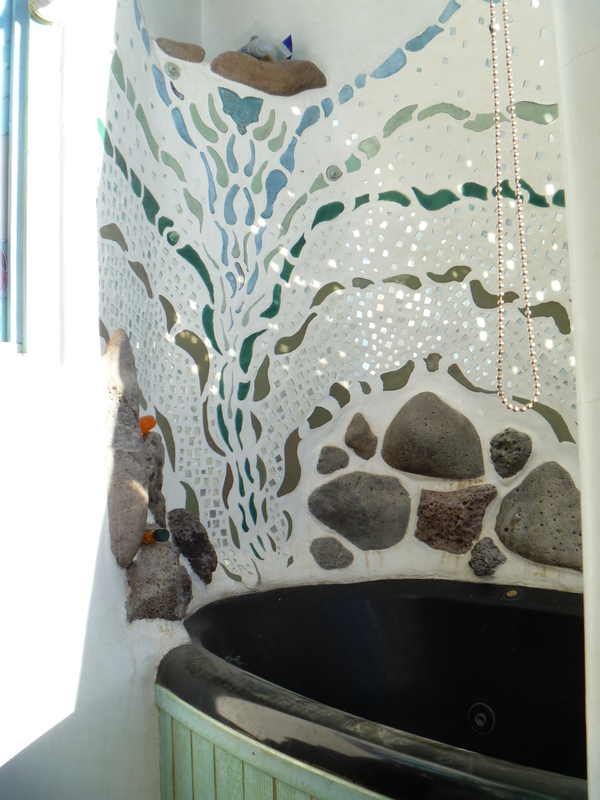 The total of funds raised for the Guatemala building project is 55,000 dollars, and our humble part is 4,000 raised for the water management system of the home, which included roofing material for water catchment, a tank and filtration system, and piping to connect all these parts! 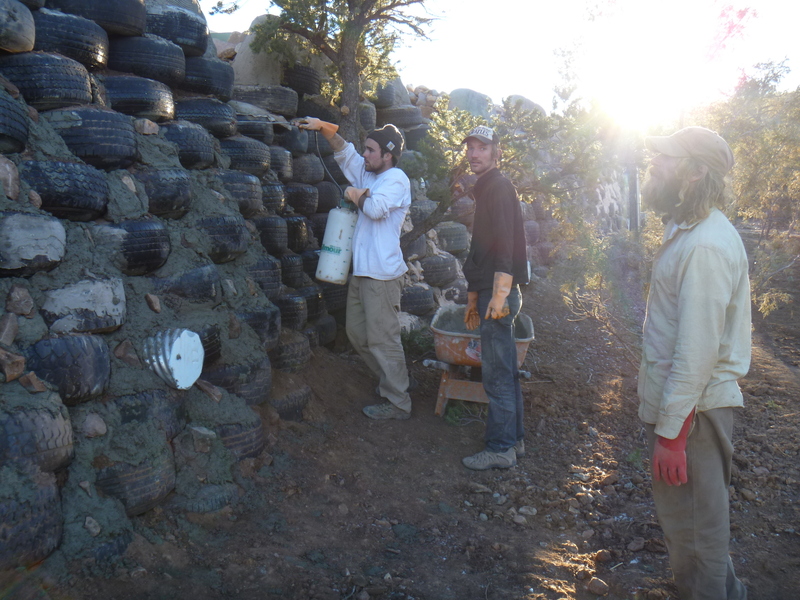 We decided to stay in Taos, New Mexico a bit longer to volunteer a bit longer with the Earthship Biotecture crew, explore Taos and manage the fundraising campaign for the Guatemala building project. 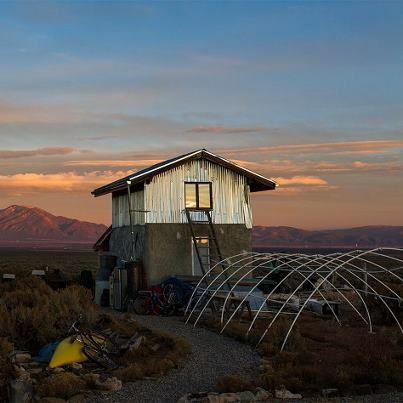 Amanda, who used to work for Earthship Biotecture, needed people to look after her dogs Bandit and Belle, while she was travelling to California for 2 ½ weeks. 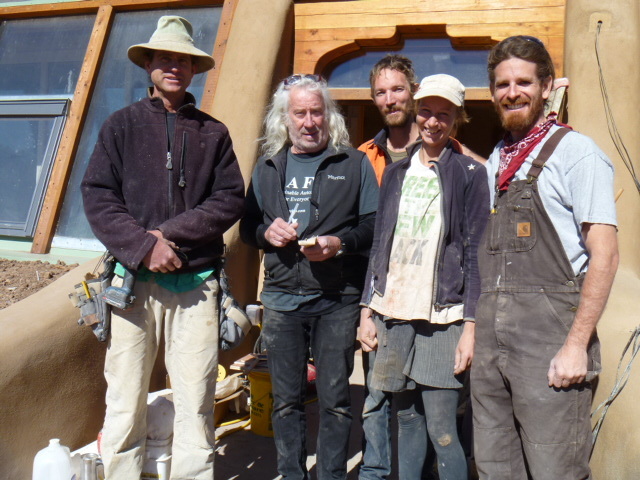 She has built a tiny strawbale home, out on the mesa -the New Mexican desert at high altitude- which has 3 large south facing windows which heat up the space, and the straw bale walls retain the heat so well that we didn’t need a heater of any sort while it was more than -20ºC!